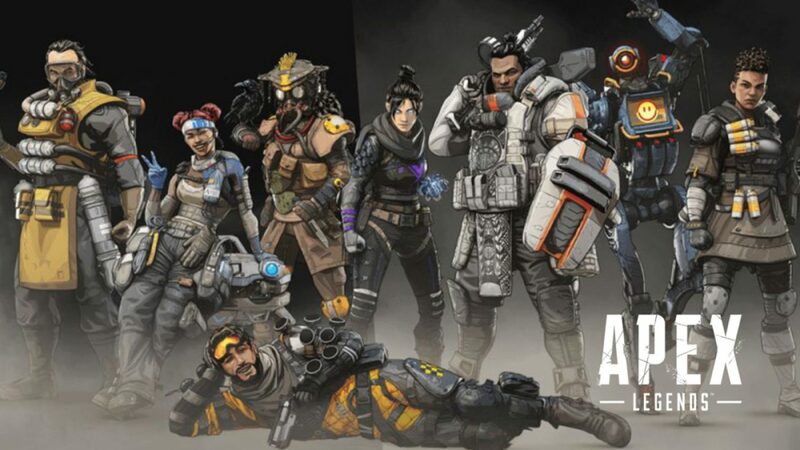 Announced and released in the same day, Apex Legends seems to have taken over the gaming world by storm since it launched. 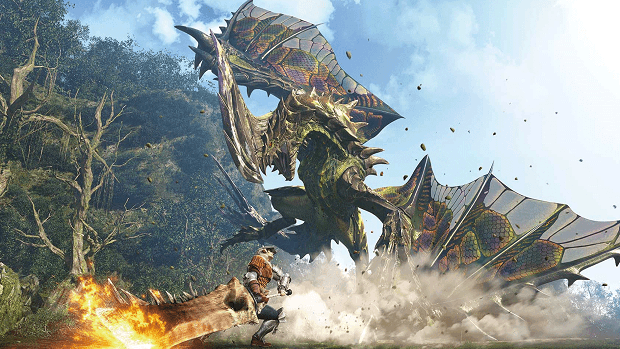 While there’s a lot of battle royale games out right now, and there are more on the way, Respawn Entertainment’s Apex Legends seems to have already carved a niche of its own, and is currently being played by millions of players everyday. Is this a fad? Are people just tired of Fortnite and that’s why it’s so popular right now? While we can’t say for sure what the future holds, one thing is for certain: Respawn has struck gold, and there’s a good reason for it. One thing that possibly separates Apex Legends from its competitors is how fast the gameplay is. You can forget about camping or plodding along at a snail’s pace trying to avoid detection. In Apex, you can zip, slide, run, and treat it like an arcade shooter (ie: Call of Duty), and still do well. This is a testament to Respawn’s fantastic gunplay design and movement system, which were both lifted from the Titanfall franchise (minus the wall jumps, and insane jumps, etc.). Of course, you can’t fault Respawn for that given Apex is connected to the Titanfall franchise, though it doesn’t feature any Titans at all. Speaking of gunplay, this is where Apex shines. If you liked how Blackout felt, or wanted a more arcade-y, and tight feeling in your battle royale games, look no further. Guns pack a wallop, and there are gun attachments to farm and loot for as well. 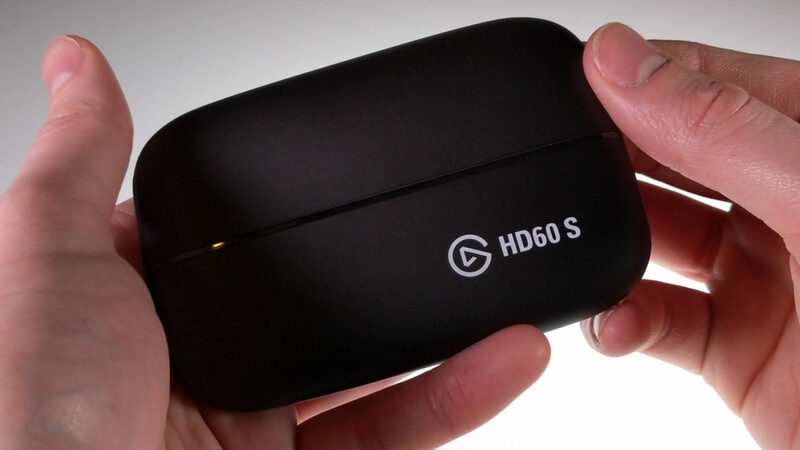 In case you didn’t know, Apex Legends features what the game calls “Legends,” which are commonly referred to as heroes in today’s gaming scene. These are characters with specific abilities that can help an individual or their team achieve victory in skirmishes and more. These Legends abilities run the gamut from being able to heal allies, being able to run faster, carpet bombing a certain area, and more. What’s surprising here is how well the Legends fit into everything. and are not overpowered at all. Sure, their abilities will help you win gunfights and even matches, but there’s no one Legend and ability that will win it all for you. Simply put: the Legend is only as good as the person who uses him/her. 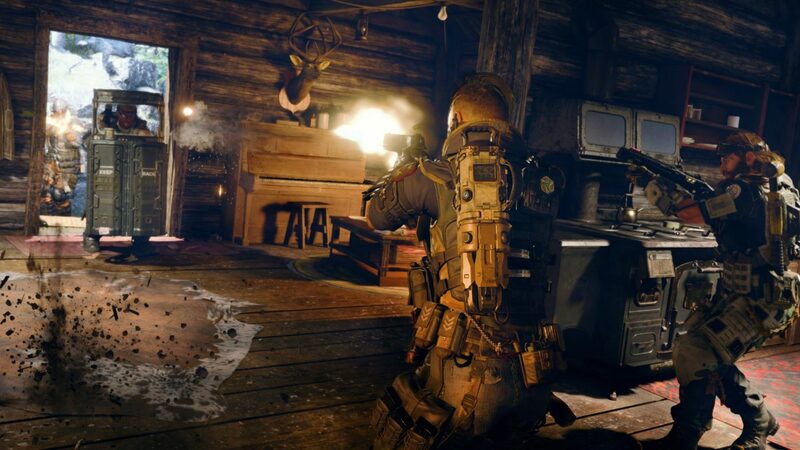 If you’re somehow worried that it plays like Call of Duty: Black Ops 4 and its Specialists, you’ll be glad to know that’s not the case. It’s hard to believe that Respawn managed to infuse a battle royale game with actual heroes, and didn’t manage to break the game balance, but here we are. These Legends add a layer of personality since each has their own backstory, quips, finishers, and cosmetic items (more on that later). Of course, a game can’t be free-to-play (F2P) without having microtransactions baked in. 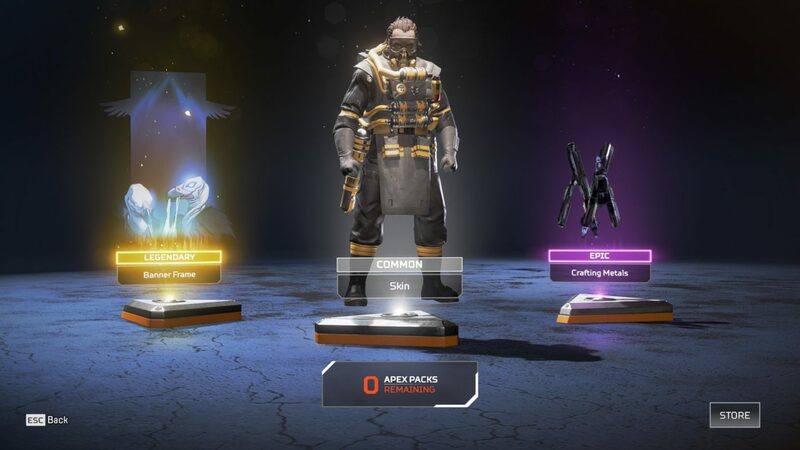 Thankfully, Apex Legends only has item skins, banners, finishers, and essentially almost everything they can sell that won’t affect the actual gameplay. Respawn has made it so that each Legend has individual banners, quips, finishers, voice lines, and more customizable and purchasable. You can choose not to spend a cent and earn these things with the game’s progression system. There are Apex Packs (loot boxes) that grant three random items to players, there are skins that can be bought outright, and there are crafting materials earned too, which will allow players to craft their desired banner, skin, etc., provided they have enough materials. As for Legends themselves, those who want to pay to unlock them straight away is an option, but seeing as the two locked Legends (Caustic and Mirage) don’t offer any big advantage to any of the Legends available off the bat, there’s really no real rush to unlock them via real-world money. Just by playing, earning XP, and whatnot, you’ll be able to buy both easy. For me personally, I’ve managed to unlock both using the in-game currency, and just by playing and earning XP. It’s (the game’s microtransaction element) basically non-intrusive, and while the store items for skins are at a ridiculous $18 per, at least it doesn’t affect the gameplay in anyway. Hey, the devs and publisher need to make money somehow, right? This is the lesser of two evils. With the success of PUBG, and Fortnite, there has been countless battle royale titles since then. 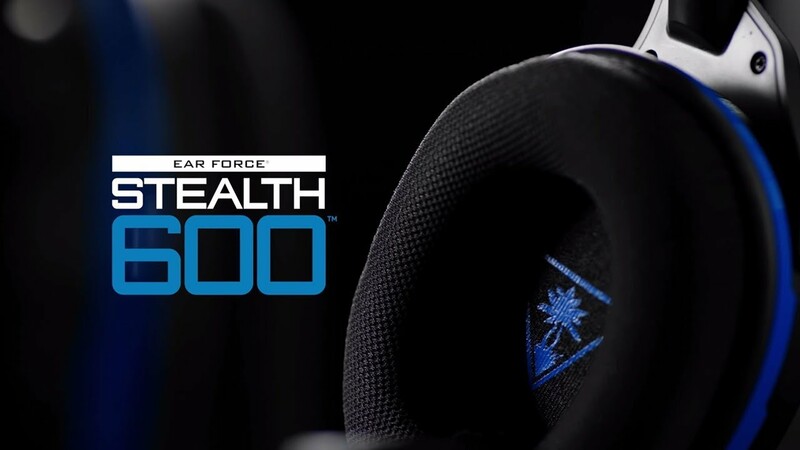 So what makes Apex Legends stand out? Not only did Respawn introduce heroes in battle royale (they aren’t the first, but they did a fine good job at it), but they also introduced refinements and other stuff that makes it easier for non-battle royale fans (like myself) to ease ourselves into it. In Apex Legends, matches don’t consist of 100-player war, but rather, a more “intimate” 60-person affair that not only makes matches faster to finish, but it makes the pace a lot faster. There’s no staging area, no super long wait for encounters (unless you want them to by hiding), no building mechanic or some other thing that stands in the way of you, your gun, your enemy, and victory. And isn’t that how it’s supposed to be? Even with how you deploy on ships, Respawn has found a way to shake that up, too! 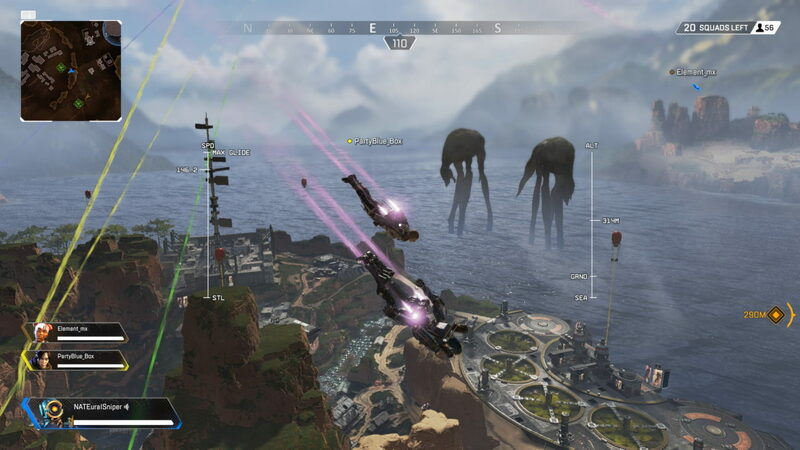 In Apex Legends, each three-person squad that jumps has a “Jump Master” that can direct where each person can go. Mind, players can choose not to follow the Jump Master, but for maximum survivability, it’s a good idea to stick together. 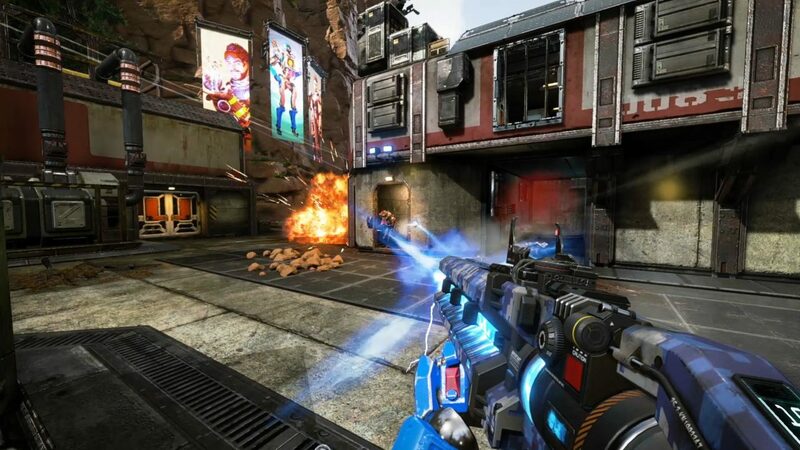 Another new addition to the genre, which I wouldn’t be surprised to see copied by other shooters and other multiplayer games is the “ping” system developed by Respawn. 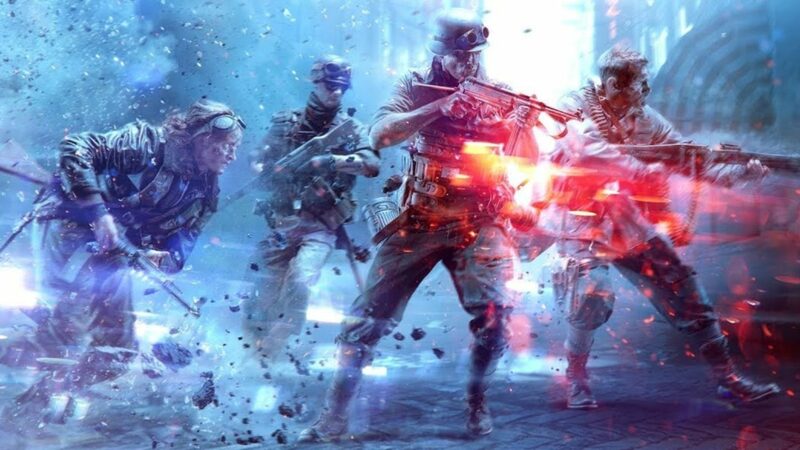 Think of it as a more robust method of the Battlefield franchise’s spotting mechanic. 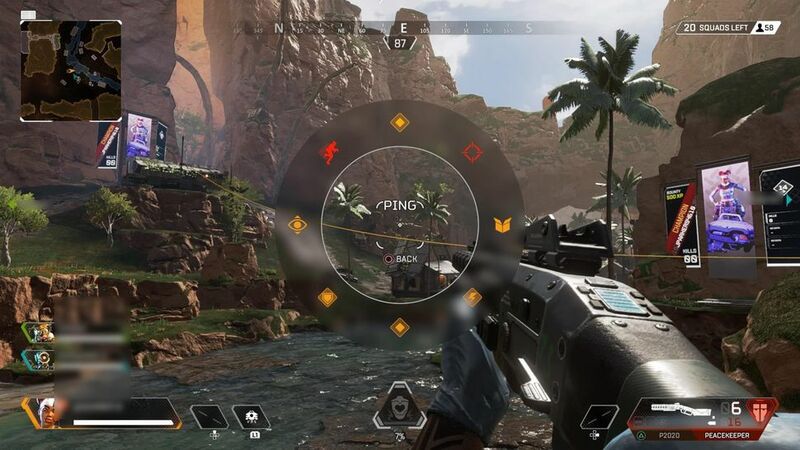 With Apex Legends’ ping system, you can ask squadmates for ammo, specific items, call out enemies, tell them where to go, and lots more, all with the press of a button. 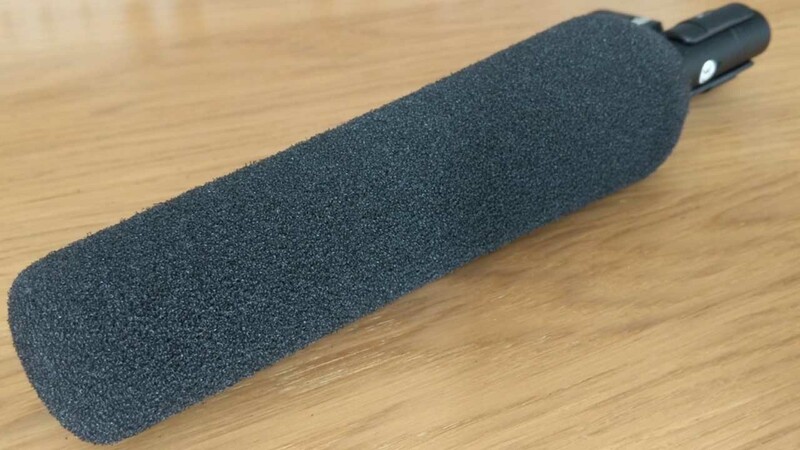 It’s ingenious, yet so simple, that I’m surprised no one else has thought of it just yet. This means that you don’t even need to wear a mic to be a “good” teammate and call out enemies, though of course, that’s still preferred. You Are the Champion, Brudda! At this point in the review, you might be wondering why there’s not a lot of complaints about Apex Legends, and well, there’s just not many things to hate about it. While you could argue that the in-game UI for characters need work, or how the inventory system when looting could be made more efficient , these things are developed over time, and with consumer feedback. And given how Respawn has already patched the game a few times since it launched just a few weeks ago, these concerns might not be concerns at all in a few weeks’ time. While there are still technical issues that need to be addressed soon (namely, crashing issues), it’s not enough to dampen the experience. 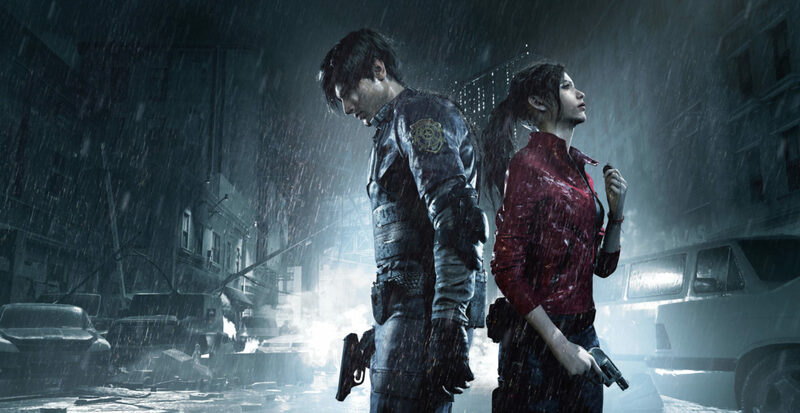 You know how there’s always one game, console, or instance that changed the gaming landscape every year? Apex Legends could be it. 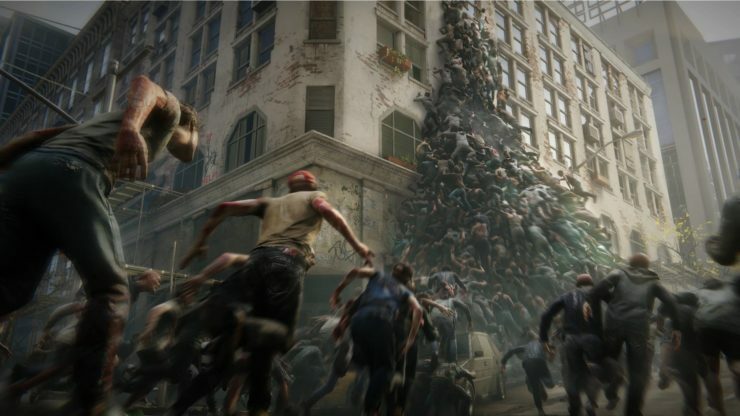 Before Respawn’s game, Fortnite seemed nigh untouchable, but now? 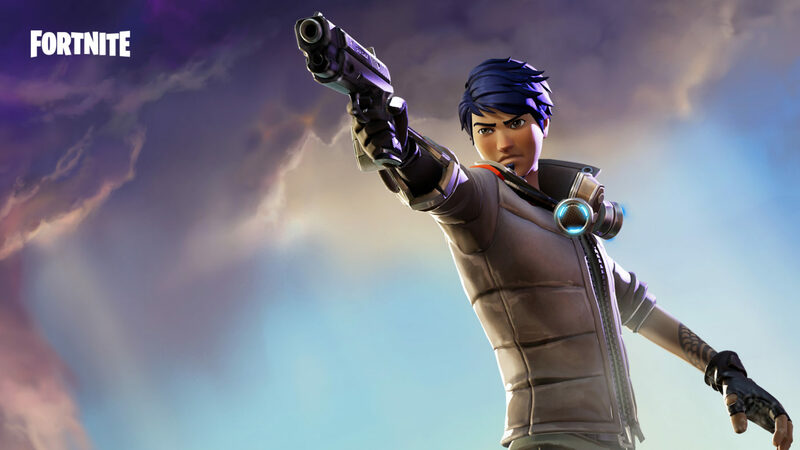 It’s already pulling in Fortnite-like numbers and we’re just a month in with promises of more modes, Legends, guns and more to come soon. With how Respawn Entertainment has crafted Apex Legends, it’s a AAA title masquerading itself as a F2P game, which is hard to believe is this good. If you’re a battle royale fan, or just a shooter fan, you owe it to yourself to try Apex Legends! 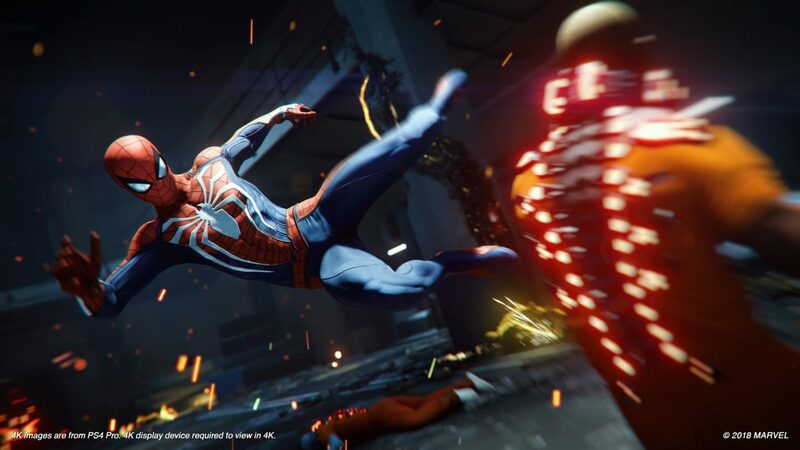 Simply put: the first must-play multiplayer game of 2019 has arrived, and it didn’t need titans to pull it off. 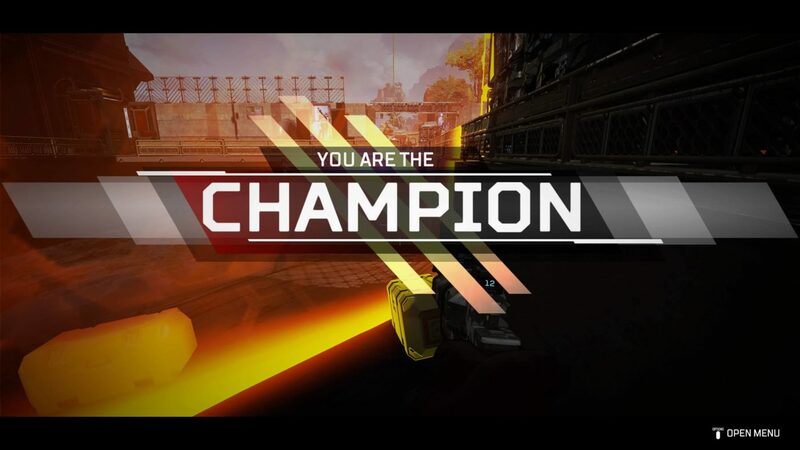 Apex Legends played on PS4 Pro; reached level 67, and managed to be the Champion a Kill Leader a few times, too. You can read MP1st’s review and scoring policy right here.